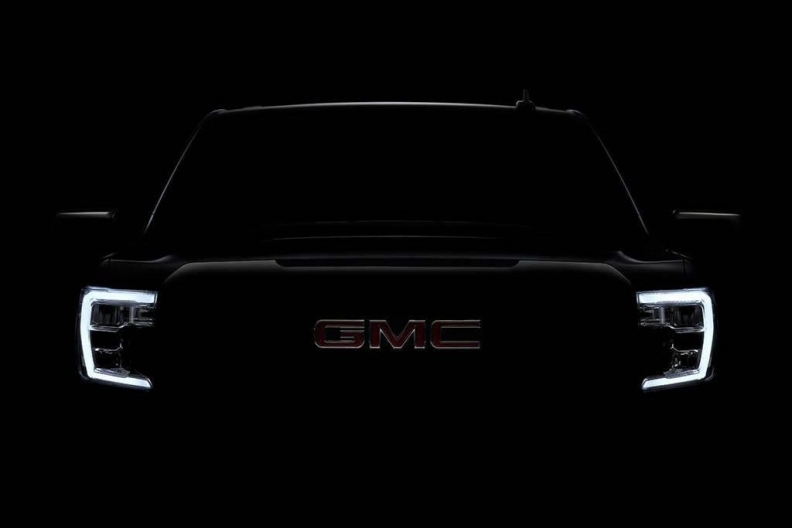 DETROIT -- The face of the redesigned 2019 GMC Sierra will feature evolutionary signature U-shaped LED headlights and more prominent taillights, according to teaser images the brand released Monday on social media. GM will offer six powertrain combinations, including a 3.0-litre inline-six diesel and 5.3- and 6.2-litre V-8s with a technology called Dynamic Fuel Management that can shut off cylinders, in a variety of combinations, to optimize performance and fuel economy. The diesel engine -- the first in a full-size Chevy pickup since the late 1990s -- and 6.2-litre V-8 will be mated to a 10-speed automatic transmission. GM provided no details of other transmission pairings or engines. In 2017, Canadian sales of the Sierra were up 21 per cent to 61,883; Silverado deliveries rose 31.5 per cent to 59,066. Production of the pickups is expected to start in the fall at GM's plant in Fort Wayne, Ind. GM also builds the trucks in Mexico, but it has not announced production details.